One of the prevalent myths phlebotomy is that it is a practice which can be mastered with a few hours of basic training. However, it’s time to dispel this misconception. There’s a lot more to phlebotomy and the role of a phlebotomy technician or phlebotomist than simply collecting blood samples. In fact, phlebotomy plays a crucial role in patient care. This medical process aids in preventing serious illnesses from progressing. It plays a major role in diagnosis, preventative healthcare, and treatment of diseases. 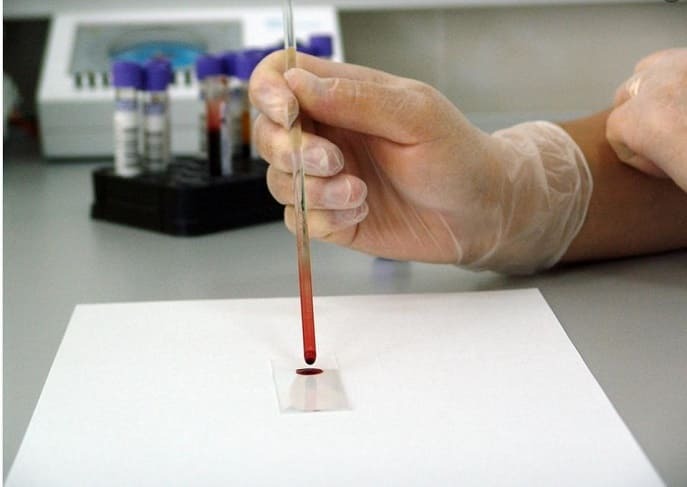 Blood samples help detect severe diseases such as leukemia, kidney ailments, cancer, and anemia. Moreover, blood tests are carried out to monitor cholesterol levels and blood sugar. This medical procedure cannot be performed in the absence of qualified and trained professionals. Also, it is essential to understand that there’s a stark difference between a phlebotomist and an outstanding phlebotomist. Being a phlebotomist will require you to reflect professionalism in your job role. More importantly, you will need to take care of the minutest of details. Bearing each and every step in mind during the phlebotomy procedure is important to prevent laboratory error and patient injury. For instance, the touch of a finger to verify the location of a vein before the insertion of the needle may increase the chances of contamination in the specimen. In addition to this, jostling and jarring of the test tubes in transit can lead to false laboratory results. Clerical errors in completing forms and identifying patients are very common. However, you can prevent committing them by being vigilant. Puncture the skin keeping in mind the specific angle (15-30 degree angle of insertion). Keep in mind that the medial vein in the antecubital area is considered acceptable for venipuncture. Invert the tubes containing anticoagulants immediately after the collection of specimens to prevent clotting. Make sure to label the specimen immediately after collection. Measure the blood pressure, assess, and inspect the physiological condition of the donor. You should be in a relaxed mood to conduct this procedure effectively. Remember, the rule of thumb – when collecting a specimen, puncturing on the same site is a strict no-no. Moreover, puncturing twice may frighten the patient. Take proper care of aspects such as hygiene, sterilization, and disinfection. You should disinfect the skin prior to this procedure and use a disposable sterile syringe. More importantly, the amount of blood withdrawn shouldn’t exceed the recommended level. Remember, practicing phlebotomy, or any medical procedure for that matter, requires the medical professional to inform, explain, and take consent from the respective patient. As a phlebotomist, you will have to provide proper counseling to the patient. This will help calm the patient if he/she is feeling anxious about the procedure. Further, it will also instill confidence in him/her. Effective counseling can help achieve positive impact on patient care and result in desired therapeutic outcomes. It is, therefore, imperative that you counsel the patients to ensure that they’re well-informed regarding the respective procedure. Apart from recommending him/her the best ways to relax his/her muscles, you should also notify the patient about the side effects that may occur. Warning about the potential side effects and providing dietary suggestions is essential. As a phlebotomist, it’s your duty to explain the after-effects like fatigue, weakness, and hypersensitivity to the patient prior to collecting the specimen. A phlebotomy certification is not just a piece of paper. It plays a crucial role in the medical field. Gaining the necessary professional training is crucial to the development of your career in this field. Being certified has its own share of perks. Phlebotomists who are nationally certified not only enjoy a sense of professional pride, but they also tend to get relatively higher packages. According to the American Association of Medical Personnel, certified phlebotomists earn 10% more than their noncertified counterparts. You need your phlebotomy certificate and license to complement your education, training, and experience. There are dozens of schools that offer phlebotomy courses. Make sure to complete your phlebotomy technician program from a highly-reputed school. Phlebotomy is one of the most underestimated procedures, owing to how deceptively simple it looks. However, that’s not the case. Phlebotomy is a highly technical procedure, and in order to perform venipunctures cleanly, safely, and successfully, a phlebotomist needs to undergo proper training. Having the needed experience can build a phlebotomist’s confidence and reassure the patients that their health is in safe hands. Further, legitimate certification will go a long way in advancing your career in the healthcare industry.